Vivax Bamboo will get very large very quickly. 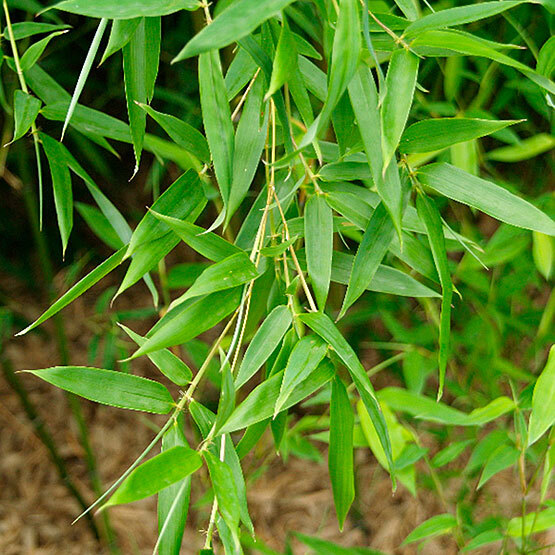 So if you're looking for big bamboo fast, this is the bamboo for you. 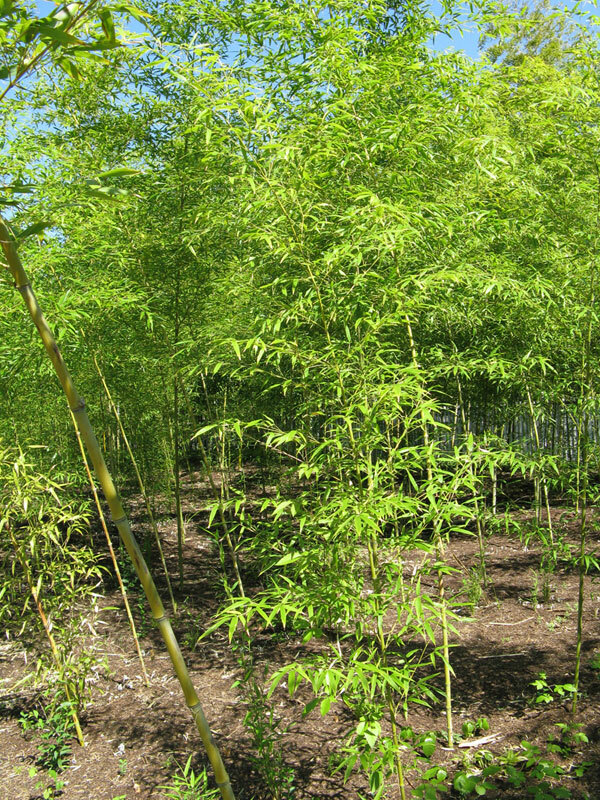 Vivax is a very cold hardy giant bamboo similar in appearance to Japanese Timber Bamboo. Vivax has very large leaves with deep green colors. The culm (cane) sheaths are creamy buff color with brown spotting. 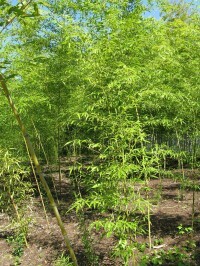 Canes are typically 5-6 inches in width when mature. Phyllostachys Vivax 'Aureocaulis' which is similar to Vivax has canes that are bright yellow with random green stripes (second photo). This is a rare species and is truly a sight to behold. 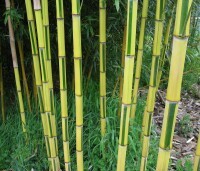 This aptly named form of "Yellow Groove Bamboo" is both rare and beautiful. 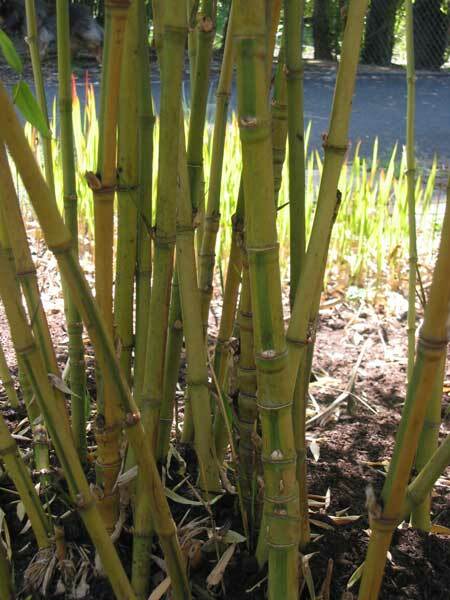 Its colors are reversed from the species, i.e., it has bright yellow culms with a green sulcus. 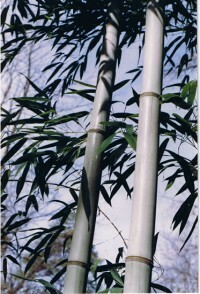 It is the hardiest bamboo with yellow and green striped color pattern. 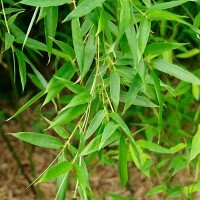 Like the other forms of the species, this bamboo makes an excellent hedge or screen due to its fast, upright growth. 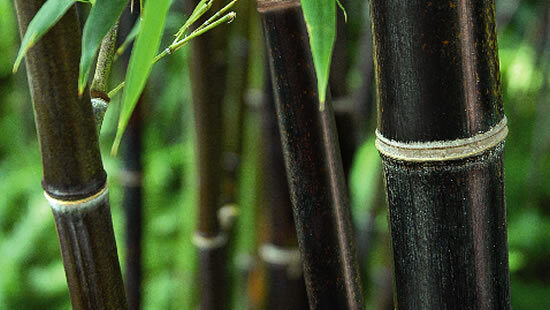 When grown in a sunny location, the new culms have a spectacular red highlight in the spring and early summer. Typical diameter is about 2" wide. 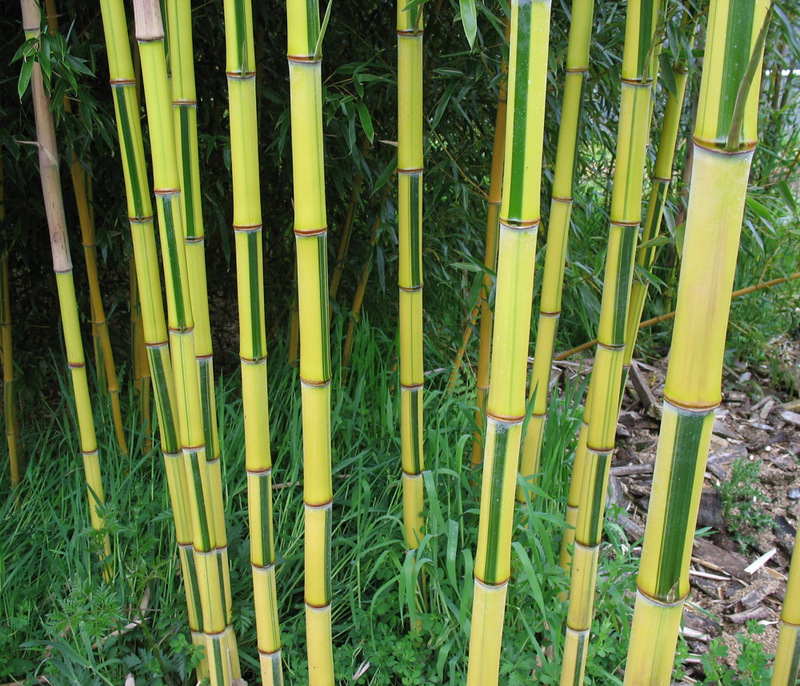 One of the most interesting color variations, the culms are green at first becoming yellow with a green sulcus after a few months. Meaning that it has a patterned striping that alternated sides up and down the cane. The yellow parts of the culm are sometimes tinted with a rose highlight in bright sun. It also has an occasional leaf variegation. Typical diameter is about 1.25 inches.